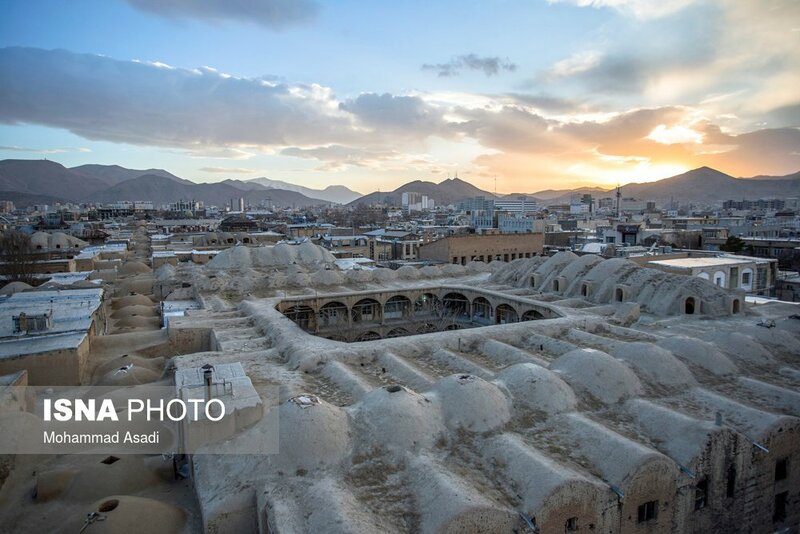 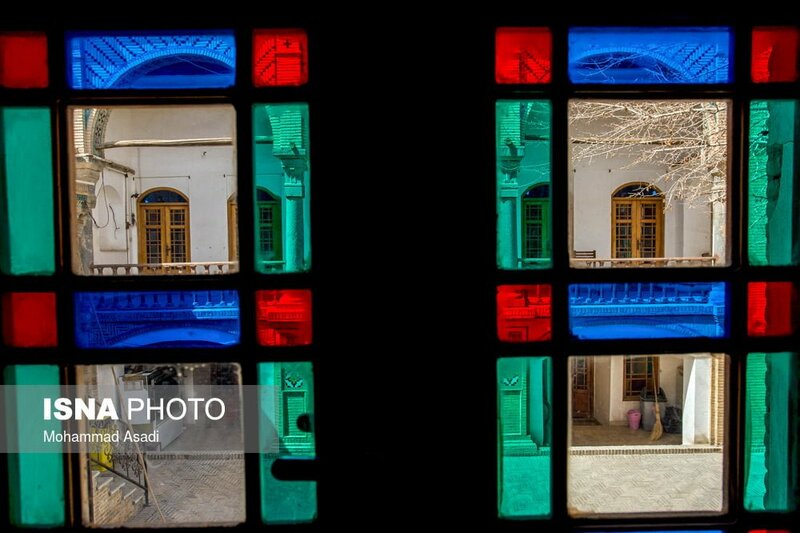 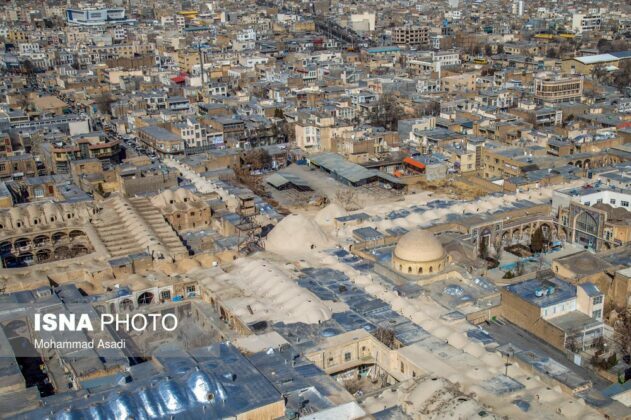 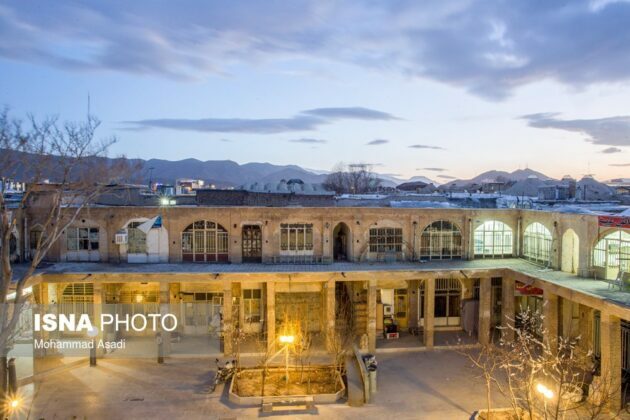 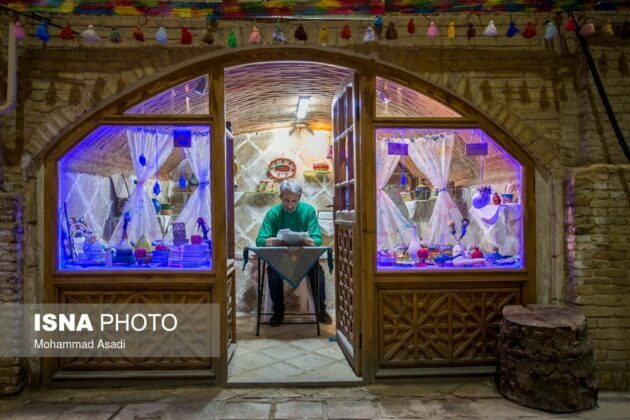 The historic bazaar of Arak in Iran’s Markazi Province was built as the main marketplace of the city of Arak by Yusef Khan-e Gorji, during the reign of Fat’h-Ali Shah Qajar (1772–1834) when he founded the city of Soltan Abad, the modern-day Arak. 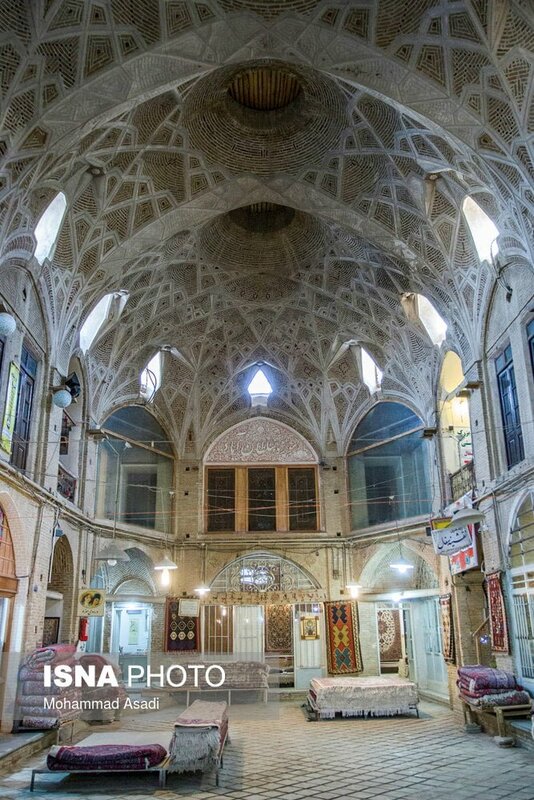 This bazaar is nearly two centuries old and is a combination of modern and traditional architecture. 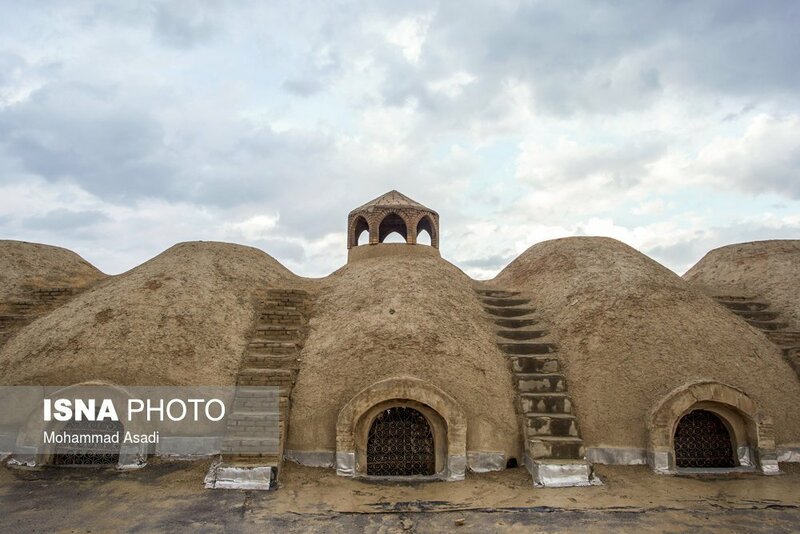 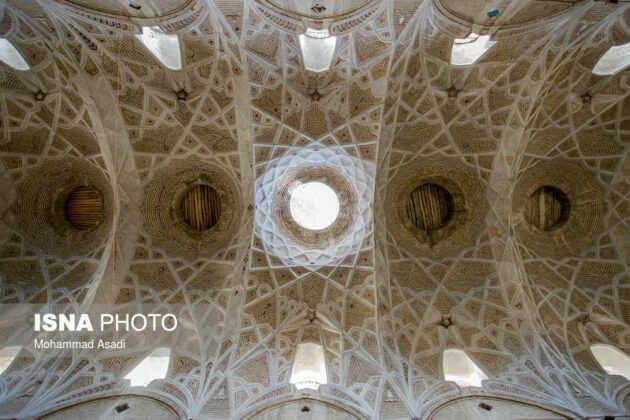 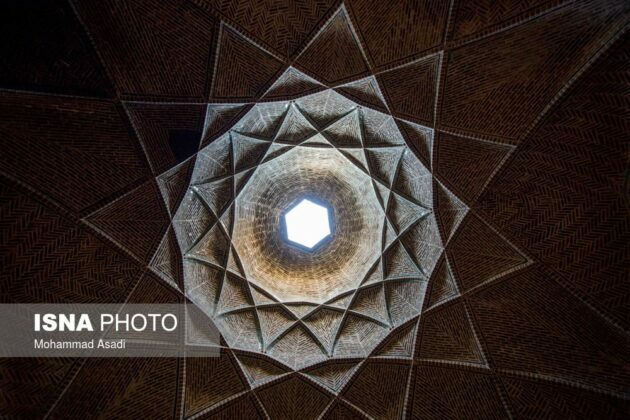 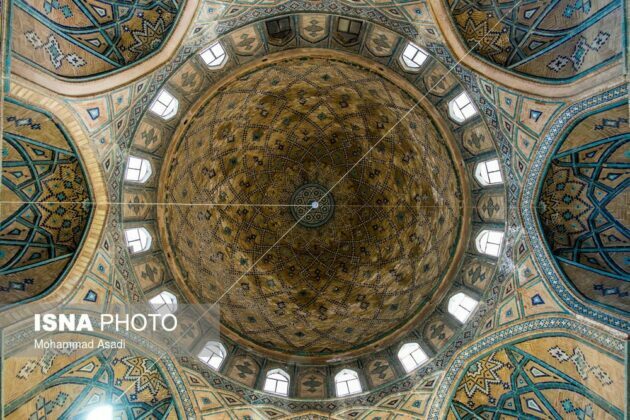 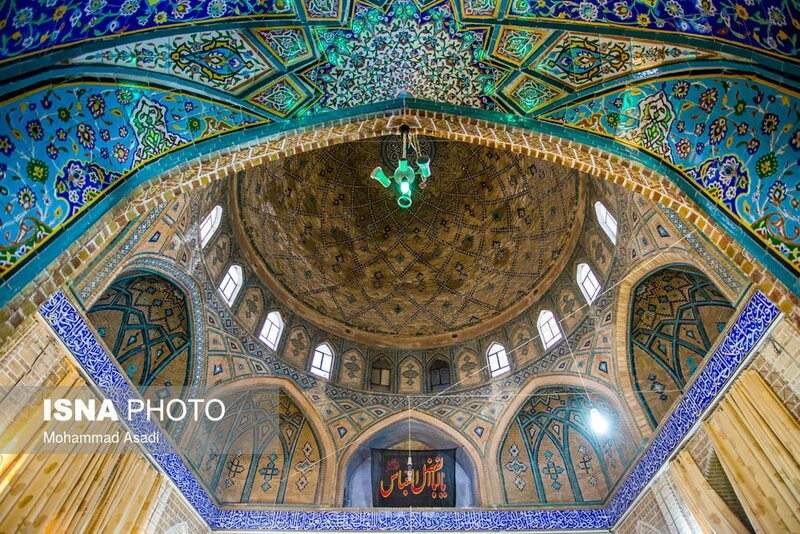 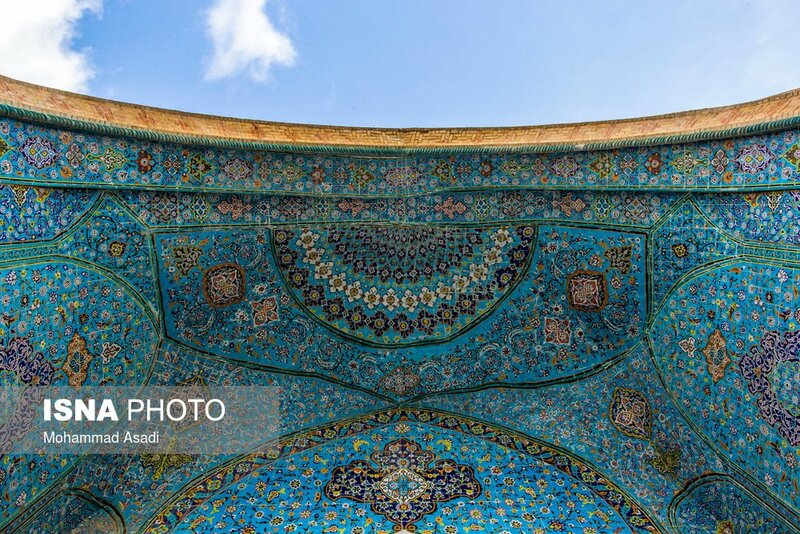 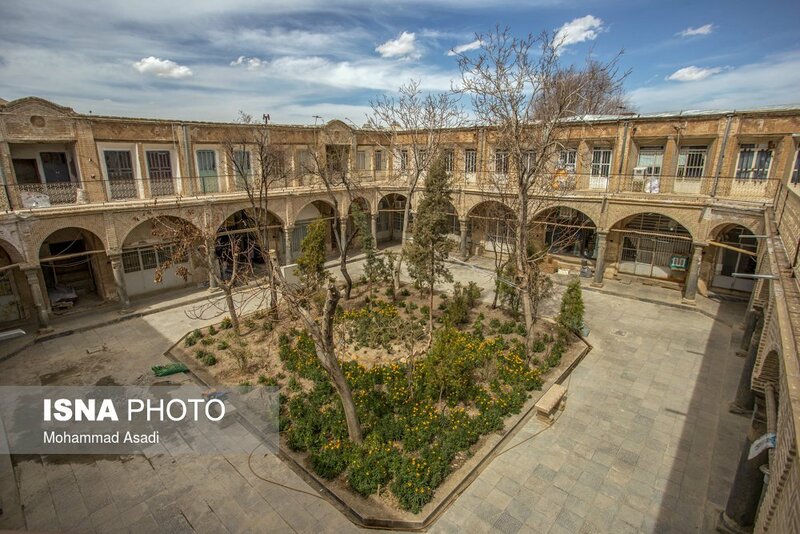 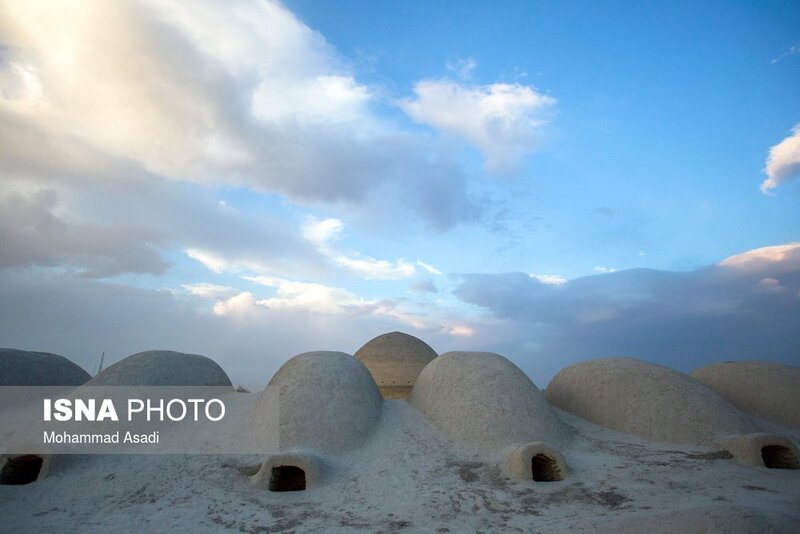 It is located in a 14-hectare area and is an example of the architecture of the Qajar era with its roof topped by a dome and constructed of brick, mortar, lime and clay. 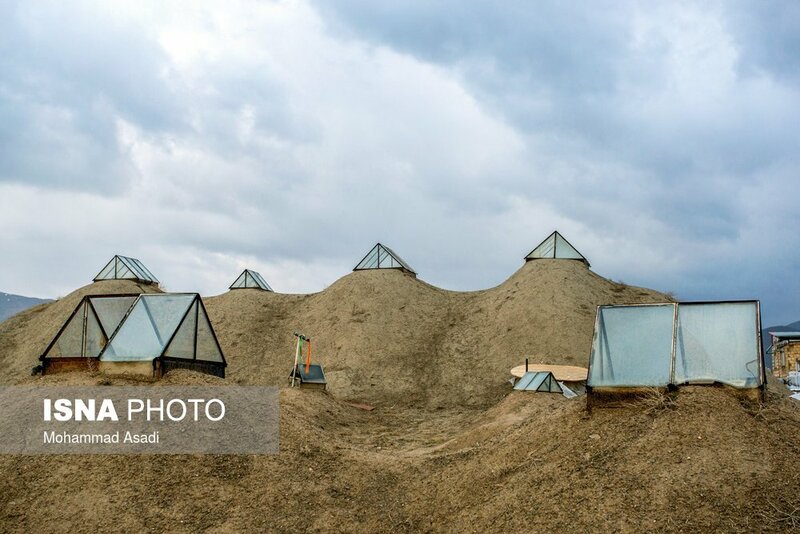 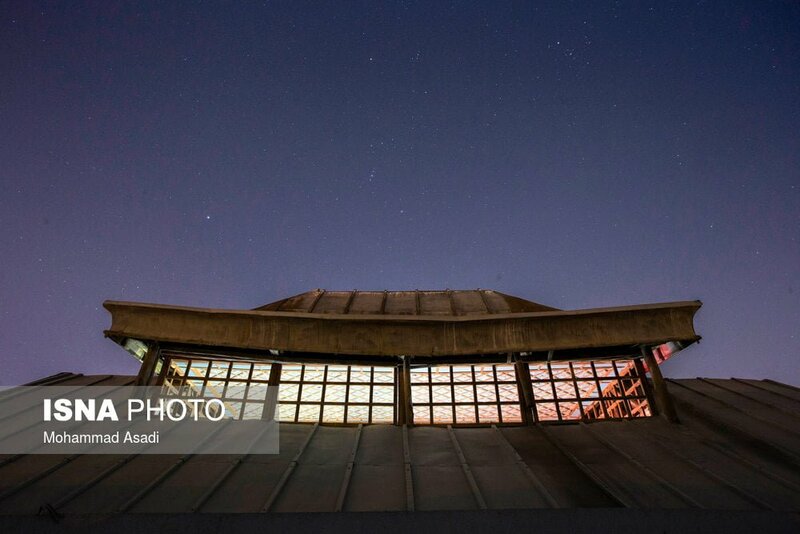 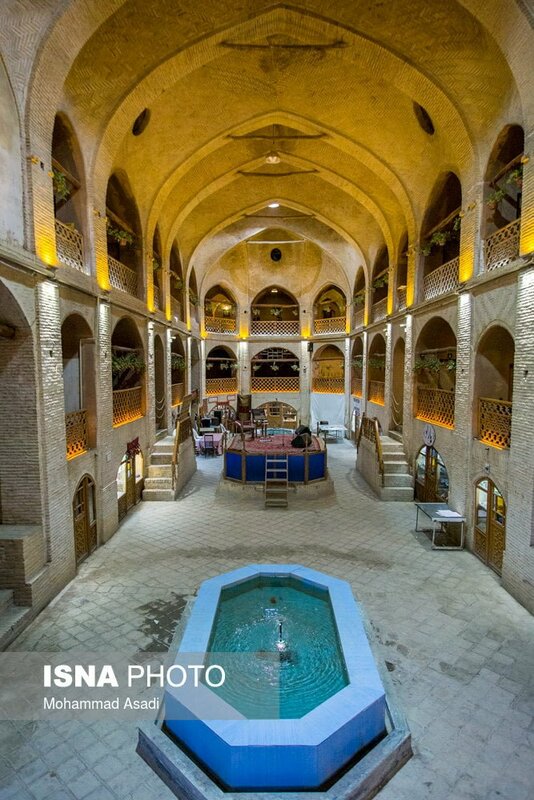 This particular architecture makes the place warm in winter and cool in summer. 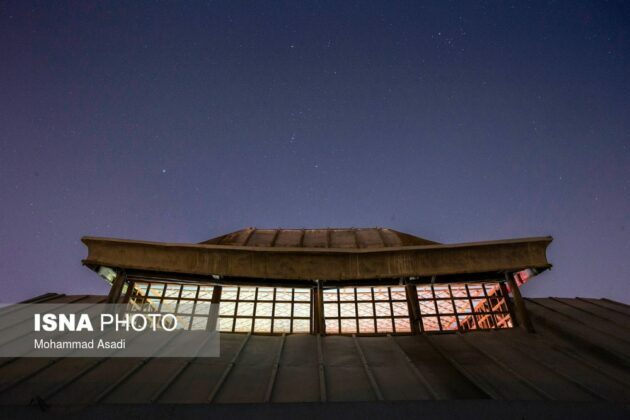 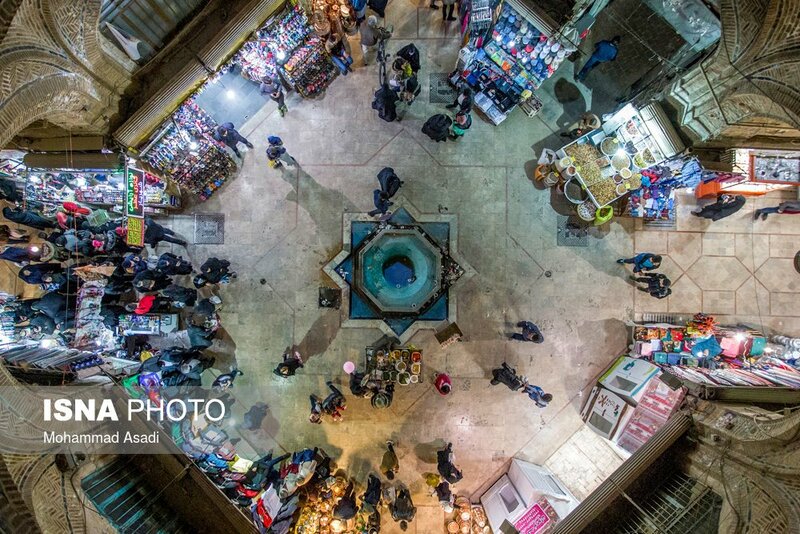 Each of the bazaar’s domes has a light well which provides lighting and air conditioning for the bazaar. 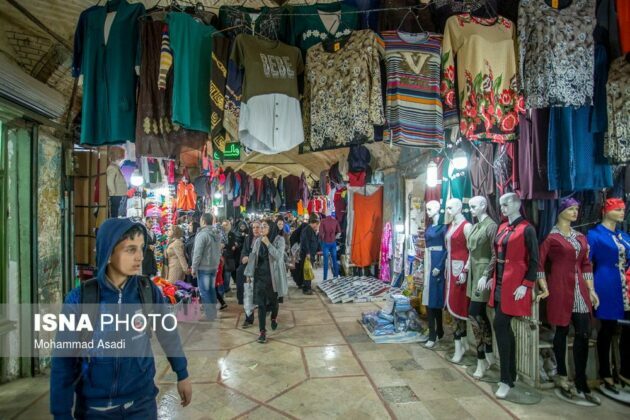 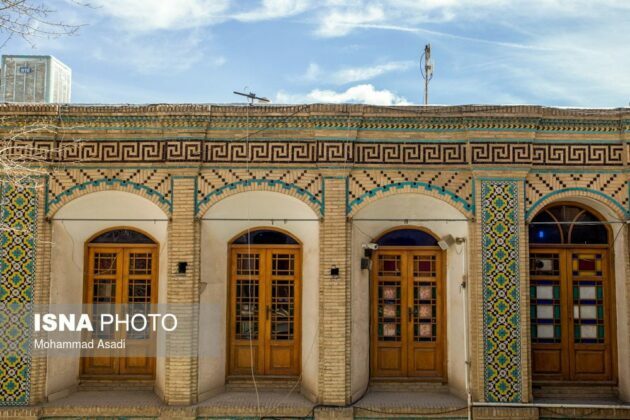 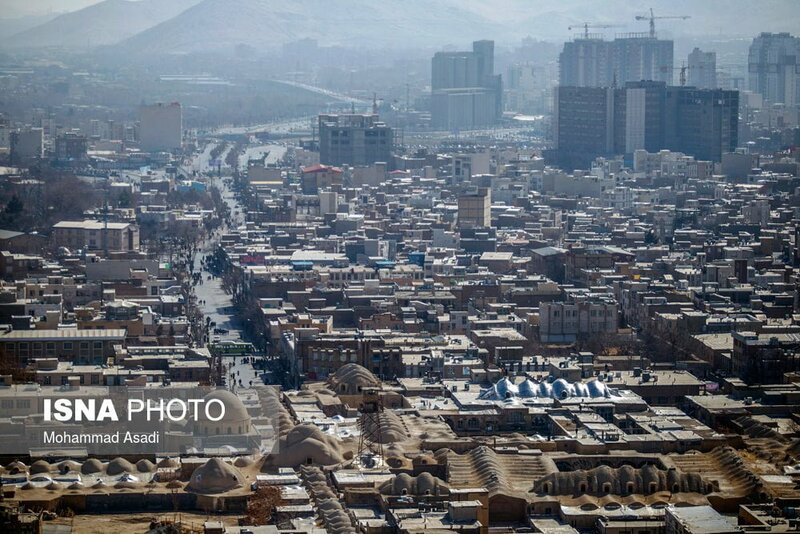 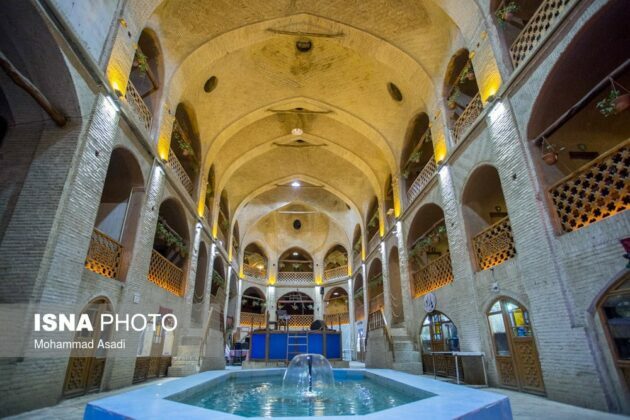 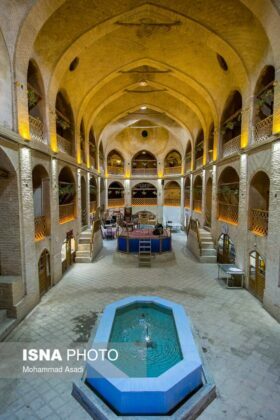 The bazaar has 500 shops as well as several mosques, bathhouses, schools and traditional water reservoirs (Ab-Anbar) as well as a seminary named Sepahdari School where Ayatollah Khomeini, the founder of the Islamic of Republic, studied. Arak Bazaar was registered as a National Heritage Site in 1977.